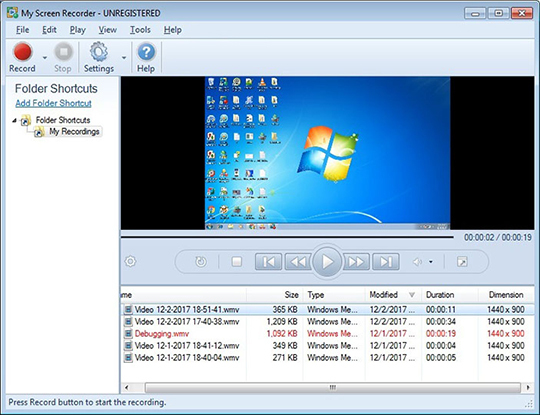 My Screen Recorder captures your PC desktop activity into standard WMV or AVI video files. It records everything you see on the computer screen, including the entire desktop, windows, menus, cursors - even video with sound. The program creates high-quality, small-size video files. A unique feature of My Screen Recorder is the ability to capture the audio from your speakers and the microphone at the same time.